Becoming a landlord in 2019... is it worth it? Yes, it absolutely is. Landlords who make a success of their buy-to-let properties still reap the financial and lifestyle rewards they have always done, despite intense regulation and legislation shaking up the private rental sector over the last decade or so. But it's fair to say there are some key considerations to make for those pondering becoming a landlord. There's little to stop anyone at least attempting to become a landlord. Yes, you'll need some capital and you'll need to start building up a book of key contacts, from lettings agents to tradespeople. A great first step to take is to talk to your local agent. They will be able to advise on the best course of action depending on what you hope to achieve from your buy-to-let property. They will also be able to suggest the best kind of management service for you, whether that is a tenant find-only agreement or a full management service. With changes to legislation coming thick and fast for landlords, a full management service can certainly help take away some of the stress and strain surrounding key obligations you need to fulfil. 1. Have you run your numbers? By far the most important thing to consider before becoming a landlord is whether or not you can afford to do it. 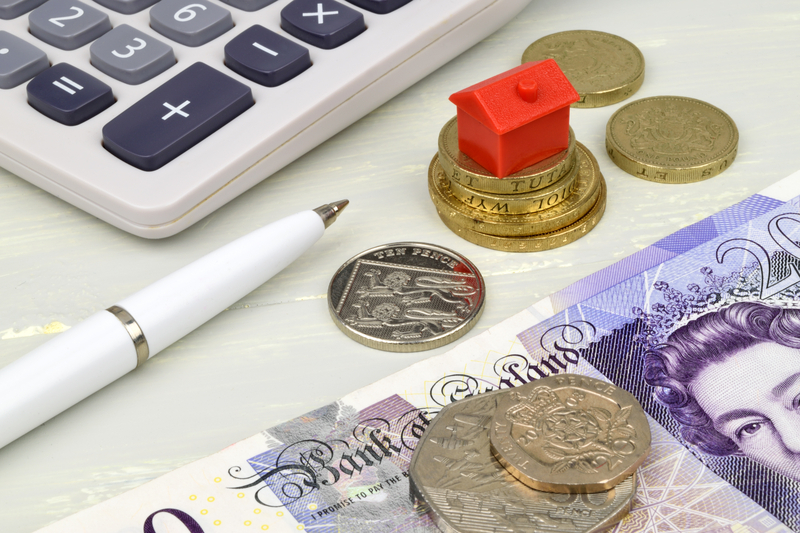 Working out your finances to the last penny is absolutely crucial for a wannabe landlord. You'll need to ensure that any property you purchase can generate a rental income that covers your costs and makes you a profit. It's worth factoring in, also, changes to income tax relief for landlords and their mortgage interest payments, which are being phased in currently before becoming full legislation in 2020. Another pressing thing to consider before becoming a landlord is whether or not you are ready for the huge number of obligations you face. Being a landlord in 2019 has huge benefits, but it's certainly not for the faint of heart. Failure to properly abide by these regulations could see you face heavy fines, or even prison. It's a huge responsibility towards both your property and your tenants. An agent's full management service can help ease the burden, as your letting agent should be fully equipped an experienced to deal with your legal obligations on your behalf. Properties can sometimes let quicker if they are furnished, but there are several pros and cons to consider before deciding whether to kit out your buy-to-let property. This is another big decision that requires a lot of thought. As with deciding whether to rent your property furnished or unfurnished, there are a host of pros and cons when it comes to allowing your tenants to keep pets in the property. The 2018 Pet Food Manufacturers Association Pet Population Report revealed a huge 45% of households in the UK had a pet. That is a huge amount of potential tenants you could be missing out on should you decide to ban pets in your property. However, pets do cause damage. And that means greater expense to replace items in your property at the end of tenancies. It can be a good idea to insert a clause into your tenancy agreement stating your tenant is permitted to keep a pet but remains responsible for any costs involved to replace items damaged directly by their animal(s). Unfortunately, the unwritten and unwanted rule of private rentals is something will always go wrong and end up costing you money. The exact cost can be mitigated to a degree by using an agent's full management service, as they will have a trusted list of contractors to sort out any emergency maintenance problems in an efficient and cost-effective way. But that doesn't ease 100% of the frustration. Landlords need to keep a cool and calm head, be prepared for the worst and always put their tenants first. A happy tenant generally results in a happy landlord after all. If you are planning on letting out your property get in touch with your local Ellis & Co branch who will be happy to help, ot request a free online valuation now.